Data Base: SQL Server 2000 and above. You own all features of Client. You can configure users in some certain roles to publish jobs. You can create categories for jobs simply, it can support parent and child category relationship. You can arrange layout for product listing of main page simply, it can support using template. You can arrange layout for product detail page, it can also support using template. You can arrange layout for email content, it can also support using template. Please note, this email is the one which will be gotten by those users applying one job sucessfully. You can arrange layout for email content, it can also support using template. Please note, this email is the one which will be gotten by admin and those users who publish jobs. You can export released jobs and information of applicants. It can support RSS function, the third-party web application can read job information easily. You can manage payment price. You can manage information of users who have paid. You can manage display template. You can approve jobs published by Client. Added the option whether to enable approving feature. Added the feature of admin and employer adding comments for applicants. Added the feature of enabling and disabling Apply. Modified EditJob.ascx page and updated button style. On jobdetail.aspx page, we modified style of share button and changed its location. In previous version, it’s located at the bottom. In this version, we moved it up. In email, there are tokens such as [HTTPALIAS_3] will be replaced with links. On job detail page, we added print feature. On "Edit Applicants Status" page, we added search feature according to job lists. It allows configuring 'Receive Emails' to be blank. In this way, it closes the function of notifying admin. When one Job posting is approved by moderator, Jobs module has ability to send email notification to users who are included in one assigned DNN role. If there’s no search result available, it will let search box appear on the search page. Added some tokens in job list module. It could force candidates to add a new resume whenever applying for a job. In this way, they won’t see pop-up box including previous resume. Responsive layout is based on Bootstrap3. We added option in search module, this option can help configuring hiding unneeded search criteria. In main module, we added option. This option is used to configure jobs display in ascending or descending order according to title, jobid, createdate, closedate, updatedate, radom fields. In DNN6.x site, when users login as host and admin, they could edit the module in the status of not editing page. This is a bug, so we fixed it in this updated version. When saving settings, it will clear cache. In this way, the updated settings will have effect immediately. There's bug in url and cancel url returned from paypal when paying, we fixed this bug in this version. When paying on paypal website, we added the option to pay using credit card directly. In this way, there's no need to create paypal account. Added one setting “fromeamil” in order to fix the issue that it’s not friendly to send emails in DNN722 site. Added county and city these two listboxes, users only need to choose one from them. Users who add jobs cannot edit jobs after they’ve been approved (admins would still be able to). So if “Allow moderation” is turned on, disable anyone from editing the jobs except Admins if IsApproved is true. An email would be sent that alerts employers (owner of the job posting) when a job listing has been approved. Only if moderation is turned on. Customize item title on the PayPal transaction, it mainly customizes text note. Added three new fields for Job Search. We want to make it possible to search by City or County or State. This would involve creating new fields for “City” and “County”, “State” in all places where applicable. Added City, County and State to Search module as drop down Options. Made these three new fields (City, County and State) are alike Keywords part. The Payment History module added one “No payment history to show” message instead of just showing blank. When doing multiple searches, it always displayed the character filled in the first search. This is a bug, we fixed it in this version. Fixed the bug that dnnsmart.job.manger module gave after deleting payment history. Modified applicant page and made it display responsive more friendly. In search module, some settings are hidden in back-end, but they still display. This is a bug, we fixed it in this version already. In addition, we also fixed the issue that datepicker couldn’t work. Fixed the bug that paid users couldn’t publish jobs. Fixed the issue that settings of job manage page module is blank after job module being deleted. We also added hint to remind that there’s no job module or it’s deleted. On candidate page, we added "Company" field. Added import&export feature for Job module. If DNN configures registration page, it will redirect to configured page when users register on Job detail page. When modifying job on manage page, it threw an error "rblType didn't find value". We fixed this error already. After downloading docx file and openening it, there was content error appearing. This is a bug and we fixed it already. Added one settings, it can be used to control whether to load bootstrap css. Made it support Azure database. Added one new button "Exporting Listing and applicants in XSL", its main feature is making exported file formatted as xls. Customized a new field "company" for resume. Modified the export file, order by DateApplied. Modified the export content, added 3 fields: DEPARTMENT, KEYWORD and APPLICATION DATE. Changed COMPANY field in Candidates form, added value ALL COMPANIES as the first, and it's required. You can only modify jobs which are posted by yourself. You can view all applicants and it will send emails to applicants according to status. You can view not interviewed applicants and it will send emails to applicants according to status. You can view interviewed applicants and it will send emails to applicants according to status. You can search for applicants according to Applicant Name, Listing Date Range, Closing Date Range, Applicant Status and it will send emails to applicants according to status. You can edit status of candidates and status of interview. You can edit template of status. This template will be used to send emails to applicants when status of applicants is changed. You can apply for one certain job, you will get one reminding email after applying sucessfully. You can search for needed jobs through Job search module, it can support search according to category, title and description and so on. You can view all jobs applied. You can manage your own keyword. If there’s one job published and it has the same keyword, then it will send one email to you automatically. You can configure this module to display content from one of job modules which you add on your pages. Please note, you can add multiple job modules on different pages of your site. You can configure how displayed content will sort, it can sort according to a field to ascending or descending. You can configure how many data to display on one page. You can enable or disable paging function. You can configure to display jobs from some certain categories. You can arrange layout for displayed content, it can support using template. It can support searching function, you can use this module to search for your needed job listing. Added country field to search jobs. It can support payment gateway such as paypal,paypal card,authorize.net,eway'. You can configure coupon code. You can view users' payment infomration and remaining number of publishing jobs. It can support searching candidates function, employer can search for candidates according to their own need. Added verification for phone filed of resume, it supports format (00000 00000). Added extra field "city" for resume. Unified styles of popup box on the site. Added "*" sign for required fields of the resume. For the persons who have module edit permission, they will be regarded as admin. On Job detail page, when sending to multiple persons using semicolon(;)to separate, it will hint that header can't include comma (,). In this version, we fixed this issue already. Fixed the bug that it will redirect fail when user register in DNN742. On resume page, we added the function that users could delete resumes. Exported file would display "E+" if the number is too long. In this version, we fixed this issue already. Added three kinds of effects for DNNSmart.Job.Latest module, they are slide, vertical slide and vertical scroll. On DNN720 version, we fixed the issue of not sending emails successfully. Fixed the bug of not paying successfully through paypal. Fixed one bug, this bug could make paid users can still publish jobs when published number is over purchased number. Fixed the bug that paging control loses parameter when searching. In previous versions, it won’t update database when modifying DNNSmart.Job.ManagePage module and updating Template. This is a bug. In this version, we already fixed this bug. Fixed the bug that "Edit Applicants Status" page doesn’t display paging. Fixed the bug that moderation feature could only work when page is in edit mode. In previous version, Contact Information is unclickable token. In this verion, we changed it to be clickable token. Fixed the bug that anonymous users can see resume of other users. Fixed the issue that appeared after module was changed to support mulitple languages. Fixed the bug that expired jobs display. For all Applicant search pages, we added Name field to search. Optimized module steps and it makes the module more easy to use. After making payment successfully, it will add roles automatically. Client must accept Term and conditions before paying and it requires template to configure Term and Conditions. Client can only view applicants who applied for jobs posted by Client, but Admin can view all applicants. Admin and Client can sort applicants according to “posting date”. Admin and Client can be able to send mass emails to individual, selected or all candidates. Admin and Client can edit status of applicants, it will send emails according to template. 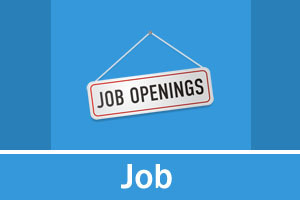 We added “Modify Job Listing” page. In this way, Admin or Client can update Job and view number of applicants very conveniently. Admin and Client can view Not Interviewed Applicants very conveniently. Admin and Client can view Interviewed Applicants very conveniently. Admin and Client can search for all applicants according to listing, applicant’s name, listing date (range), listing closing date (range), and status. If published jobs match keyword of all candidates, it will send emails. After one candidate applies for a job, it will send email to Client and Admin. Resume of this candidate will be included as attachment in email. It can export location and date posted in search module. We added Client Managemen section for Admin. We added approval feature, then Admin can approve jobs published by Client. Increased date format. It can support dd/mm/yyyy and it’s mm/dd/yyyy in default. When published jobs expire, you can use one key to republish jobs. Added validation info for closing date when editing Job. Added option for RSS, this option will determine whether to enable download. Updated Mailing Address to be optional. Increased the function of resending resumes. Increased the function of deleting resumes. Increased the function of attaching resumes when sending emails. Updated Clients users to see their own published jobs in default when they login. Optimized functions. When one user click login and apply or Register and apply, return URL is the listing which this user is viewing. Added payment function, you can publish how many items of recruitment information after making payment. Define logo size. In module settings, there’s one parameter which you can use to set logo thumbnail size. Added one another template for job module. Share jobs into relevant websites, such as facebook, twitter, In. Added the function of anonymous users applying job.